Carebag commode liner with super absorbent pad. 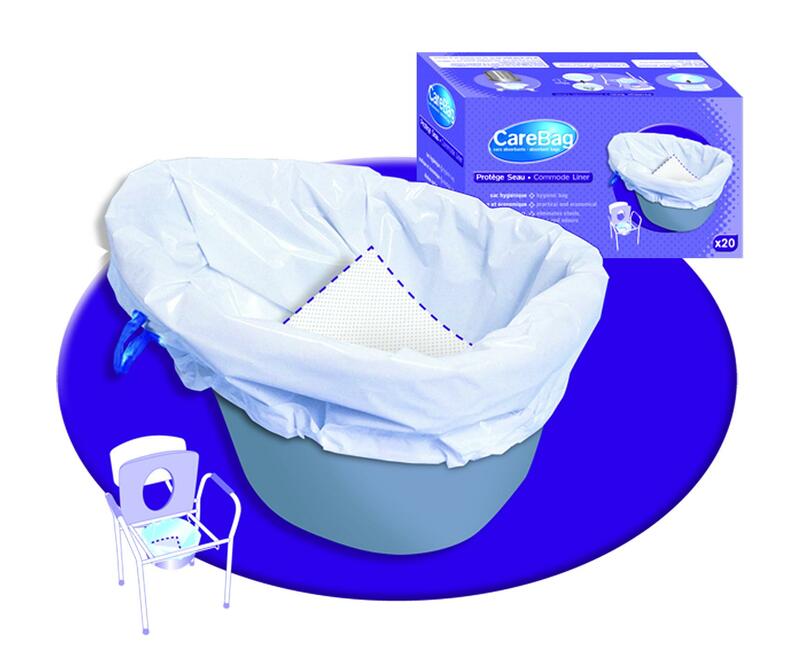 The single-use CareBag® Commode Liner with Super Absorbent Pad is designed to safely collect, transport, and dispose of body fluids, thus avoiding unpleasant hand cleaning of the pail. The super absorbent pad turns liquid waste (urine, diarrhea, blood, serous fluid) into a gel within seconds. When used to line the commode, both the user and caregiver are protected from the spread of pathogenic organisms by direct or indirect contact, thus minimizing risk of cross infection. Protects most commode chair pails. Safe and convenient collection, transport, and disposal of body fluids. Saves personnel time and costs related to cleaning commode pail. Eliminates the unpleasant task of cleaning commode pails. Recommended for Home Care, Hospitals, and Nursing Homes. Recommended for infectious patients and isolation rooms.